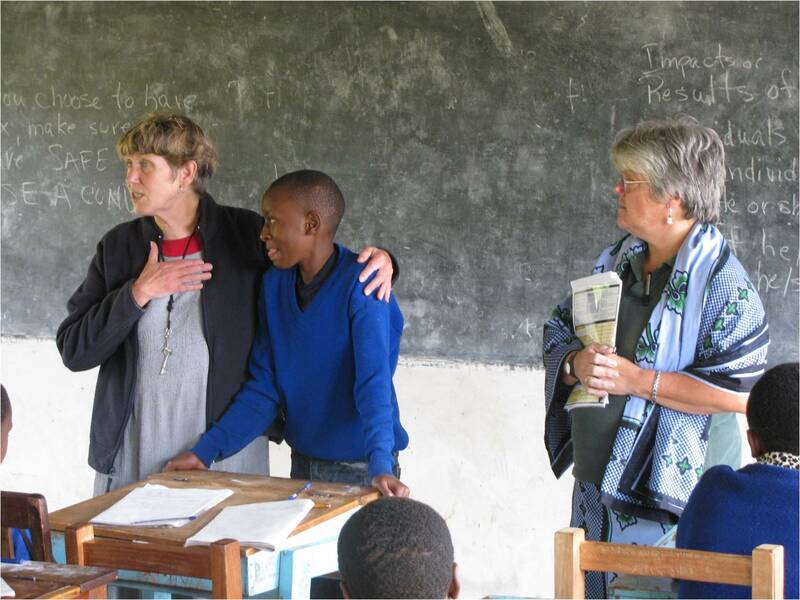 The Tanzania Teaching Foundation (TTF) was inspired by a ministry of Gloria Dei Lutheran Church that supported volunteer Nancy Winters to teach at Manow Lutheran Junior Seminary for the 2001 school year. She recognized the largest hurdle to secondary education in Tanzania was command of the English language. During her year of service, Nancy developed a culturally focused curriculum to help students develop the language skills they would need to be successful at the secondary school level. In 2009 TTF began a program to improve student readiness for secondary school by providing an English intensive course (Pre-Form 1 English) for students entering secondary school. Our past, present and future projects focus on supporting prosperity for Tanzanian individuals, families and communities by increasing access to high quality education for as many Tanzanian students as possible. Since 2009, the Pre-Form 1 English program has graduated almost 300 students. Most of the these students are successfully navigating secondary school. Those who have graduated from Form 4 and have enrolled in Forms 5 and 6 many of them in the sciences. Each year five to seven of our Pre-Form 1 English graduation attend Manow Lutheran Junior Seminary (MLJS), our sponsoring school. The teachers at MLJS have expressed sincere appreciation because our graduates, with their greater English proficiency, raise the level of interactions in their secondary classrooms.